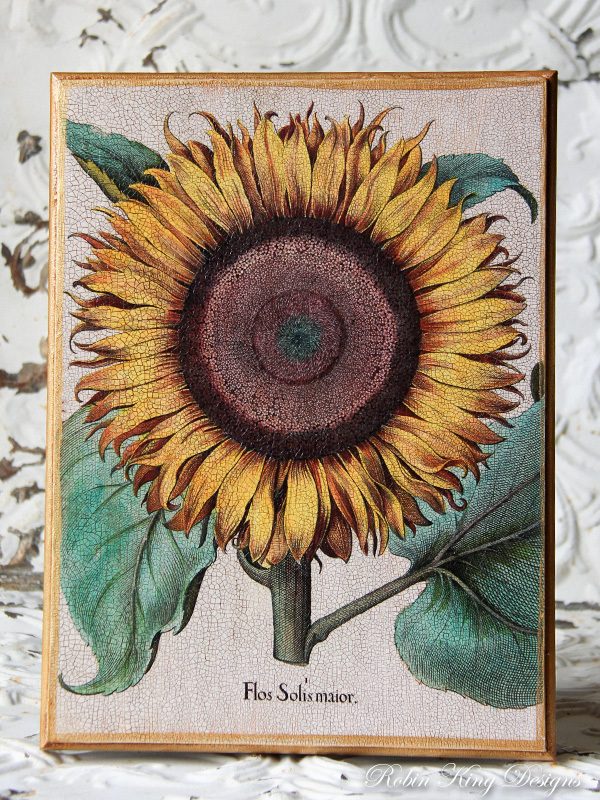 A 12 by 16 inch wood base features a wonderful antique print of a big beautiful sunflower. Handcrafted in my Colorado studio, the piece is made to order and features my signature crackle finish. It is signed on the back and comes ready to hang. A beautiful Country French accent for your home.